BSA's invade a Norton cookout! TOPIC: BSA's invade a Norton cookout! 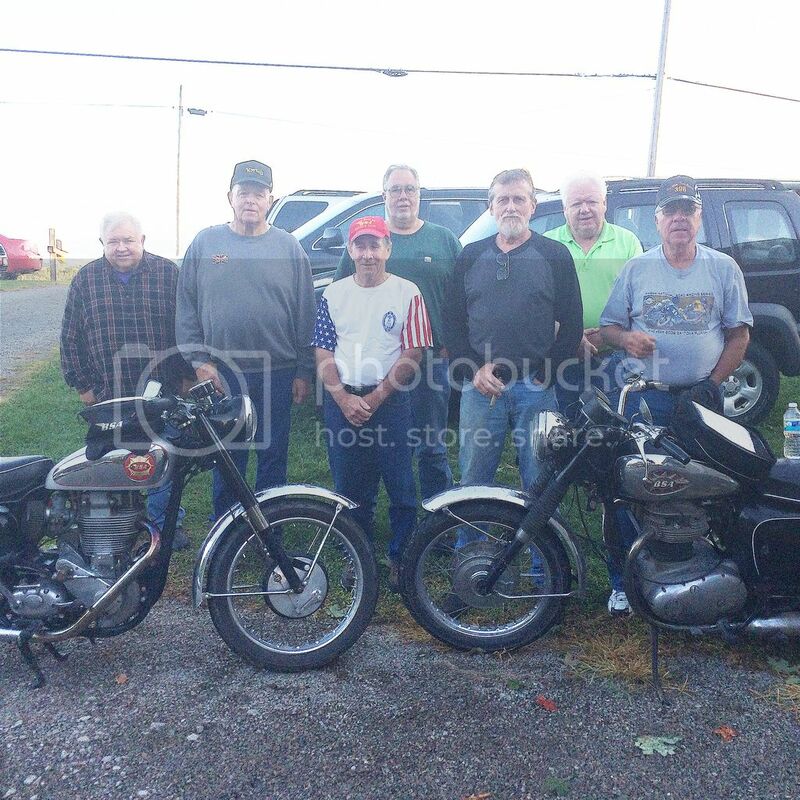 The Northern Ohio Norton Owners had a little cookout in September. The idea of a ride followed by food appealed to one of the OVBSAOC members so much, that he talked me into venturing forth into the wilds of Holmes County in search of the cookout. Bill Edwards rode his 69 T-bolt from Meigs Cty. to my house, a mere 150 mile jaunt.....I think Bill has ridden further for food. Just sayin'. Then off we went in search of the cookout. Through rain, tourist traffic, dodgy directions (we needed dual,sports on one road...), and we were there. 2 BSA's (Bill's T-bolt, my Gold Star) amongst the Norton owners.....a good time was had by all. Our intrepid newsletter editor Clark even made an appearance. Finally, it was time to go. The sun was setting, the temps were dropping, and I had to rely on a Lucas Dynamo for lights to get home. And we were off...Bill back to Meigs County on his T-Bolt (in the dark), myself back to T County on the Gold Star with a Lucas Dynamo providing the lights. But not to worry, both bikes performed flawlessly and got us both home. Thanks to Ed B for holding the cookout and putting up with us.